What’s the Matter with the Media? Plenty! I spent almost 30 years working as a reporter and foreign correspondent for the Chicago Tribune. It was an immensely satisfying career. In fact, I considered it the best job in the world. I witnessed and reported on some of the most significant events in the United States and the world and I was paid for it. I even won a few awards, of which I am still extremely proud. When I joined the Tribune right out of the University of Kansas in 1969 (what a break THAT was), I did so infused with the conviction that journalism was a calling, not just an occupation. Journalism carried with it certain fundamental precepts and responsibilities. You needed to be fair and as unbiased as you could be. Your reporting needed to be rigorous and thoroughly accurate. Most of all, as a reporter you had an obligation to honor the tacit trust your readers, viewers, or listeners bestowed on you. There were editors (tough sob’s) who made damned sure you adhered to those principles—especially when it came to accuracy and fairness. Of course, in a city that had five competing newspapers when I arrived on the scene, the Tribune’s brass also demanded well- written and compelling stories. As I observe the media landscape today, I must admit I am ashamed of the craft I once loved and respected. (Some call it a profession—but then, so is prostitution). Those cherished ideals I carried with me through my career seem today as quaint and gratuitous as typewriters and telex machines. You only have to look at the recent Republican and Democratic presidential debates to see what I mean. The media are (yes, the word MEDIA is Plural) behaving shamefully if not outright dishonestly, and with bias aforethought. Nothing demonstrates that reality more than the two most recent presidential debates. Exhibit One: The Democratic debate—if indeed you can call it that. Some have called it a love fest sealed with a lingering wet kiss by the media. As a “debate,” it was an embarrassment. Hillary Clinton was as good as nominated on the stage that night, while Bernie Sanders sounded like a shill for Vladimir Lenin and Nikita Khrushchev. We know Bernie spent his honeymoon in the Soviet Union. The question is did he ever leave? Then there were the other three alleged “candidates.” Who were they? Let’s call them The Three Stooges. They were on the stage so the Democrats could at least have some warm bodies flanking Hillary and Bernie. The CNN moderators treated Hillary like Europeans treat nobility—with excruciating deference. They never challenged her, never pressed her for substantive details on any of her plans, and essentially provided the viewing audience with an exhibition in fawning and toadying. Hillary is, after all, the freshly anointed queen bee of the Democrat party. Meanwhile, Bernie raved on and on, promising free this and free that. I never heard one actual comprehensive question that challenged Bernie (and Hillary, for that matter) to explain how they were going to pay for the trillion dollar freebies they were promising voters. So THIS was the media committing responsible journalism, acting in their Fourth Estate role as the watchdogs of government and toiling as the purveyors of reliable and factual journalism. Ahem. I beg to differ. Now, let’s turn to the “cage fight” (as Sen. Ted Cruz has called it) that passed for the GOP debate this past Wednesday. Let me say it right out. The CNBC moderators should be embarrassed to call themselves professional journalists, because they absolutely didn’t behave the way authentic, unbiased, fair-minded reporters are supposed to. They should have been required to display their obvious anti-GOP agendas like scarlet letters on their chests. They were petty, rude, snide and snarky. After a short pause, Cruz challenged the moderators. He barely finished before he was drowned out by robust supportive cheers from the audience while the annoyed moderators dithered and squirmed—as well they should have. Cruz had just given them a verbal horsewhipping, which they all richly deserved. It was a pivotal moment in the debate because it so eloquently said what so many people have been thinking. A majority of reporters, editors, producers and others who contend they are professional journalists are nothing more than dishonest drones committed to advocating for causes and people they agree with rather than providing “fair and balanced” reporting. (By the way, that phrase has been around a lot longer than Fox News, which seems to have co-opted it). 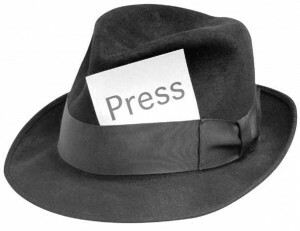 What media pundits enjoy calling advocacy journalism is NOT journalism. It is a justification, a rationalization for supporting issues and agendas that many in the media believe in while ignoring, disparaging, or obliterating positions that may be on the opposite end of the question. Hence, the kind of nasty UFC Fight Club atmosphere we see during GOP debates and the insouciant and blasé event that passed for a Democratic debate a few weeks ago. “The men and women on this stage have more ideas, more experience, and more common sense than every participant in the Democratic debate. 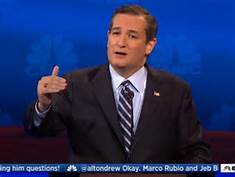 That debate reflected a debate between the Bolsheviks and the Mensheviks,” Cruz added, referring to rival Marxist factions in early 20th century Russia. New Jersey Gov. Chris Christie was just as contemptuous of the quality of questions when moderators asked about fantasy football and whether the federal government should regulate it. Yes. Can we stop? Can we stop the unbridled unfairness and bias that is infecting the political coverage in our country? 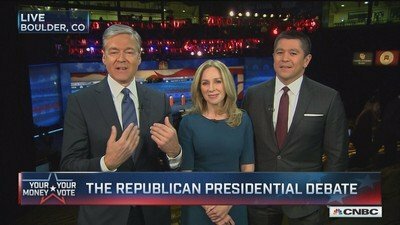 Can we at least attempt to cover candidates based on their positions and ideas and not on whether or not they cashed out an IRA (ad Marco Rubio apparently did), or whether Ben Carson gave a couple of paid speeches to a seller of nutritional supplements that later had to settle a deceptive marketing lawsuit? The stories I am seeing on air and in too many newspapers today are often under-reported, filled with holes, and definitely NOT fair and balanced. Moreover, journalism, a vocation that was once respected, has fallen to a level just above ambulance chasing lawyers and business executives, according to a recent poll by the PEW Forum on Religion and Public Life. Only 28 percent of those polled said journalists contribute “a lot” to society—down from more than 65 percent in the 1970s and 46 percent in 2009. Is it any wonder? If you are not honest with your readers, viewers, and listeners; if they cannot trust you and rely on you to provide unbiased and accurate information, then the media are doomed to irrelevance in our nation. When that happens, the only thing more irrelevant will be the people whose trust the media violated. What Just Happened at the University of Missouri?